Sakai Guides and DocumentationSakai Complete User Guide Rich Text EditorHow do I add/edit a table in a text box? 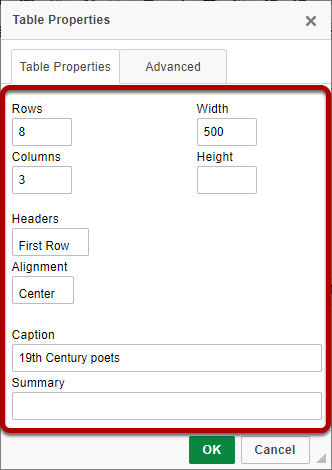 Position your cursor in the text box where you want the table to display. This displays the Table Properties dialogue box. 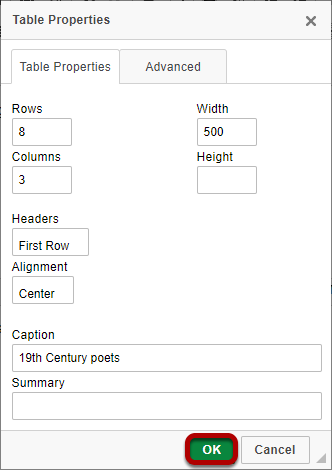 Set the number of Rows, Columns and any other table properties needed. To edit the table properties, right-click (CTRL-click for MAC) on the table. This displays the Edit Table dialog box. 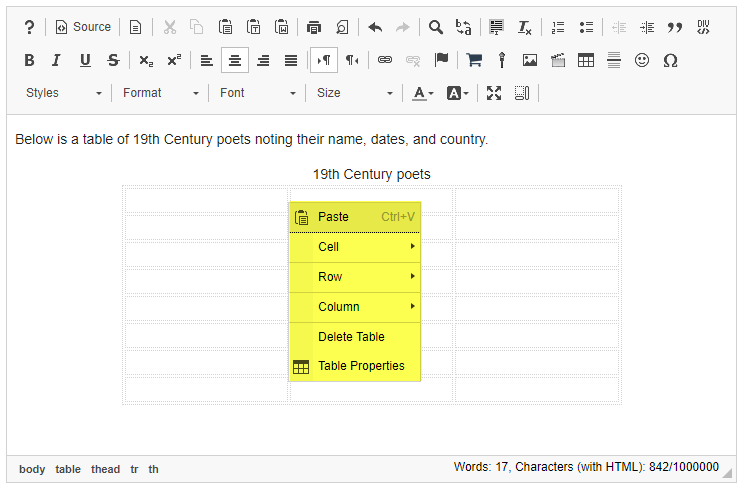 Select the Table Element that you want to edit (Cell, Row, Column, Table Properties or Delete). Prev: How do I add special characters to a text box? 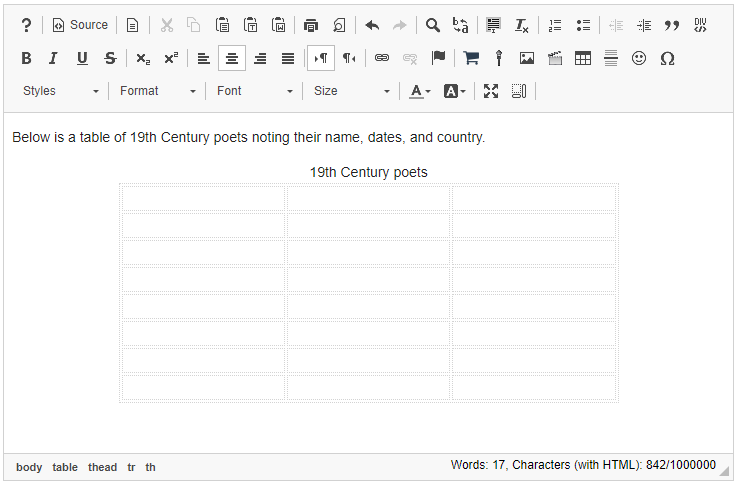 Next: How do I add a content template to a text box?